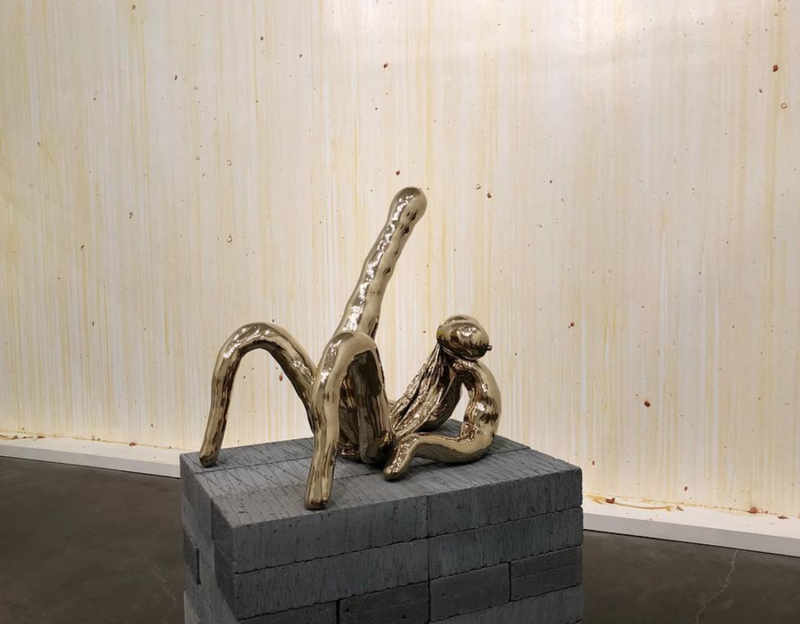 Having claimed the main three floors of the New Museum in New York until January, the artist Sarah Lucas asserted her territory with an exhibition full of the most artful phalluses. 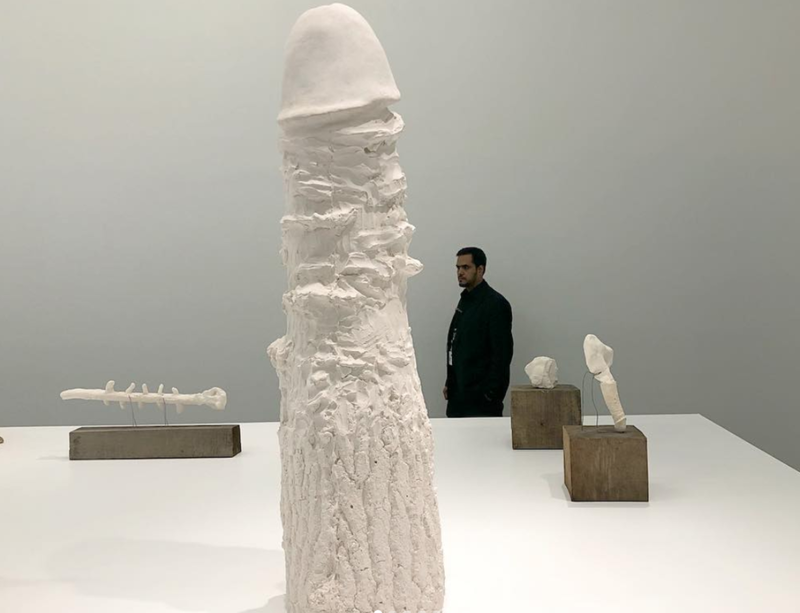 Her new exhibition at the New Museum is in fact her first-ever American showcase and full of examples over the past few decades of how Lucas has explored and commented on gender, eroticism, desire, and, above all, the human body. Lucas has consistently used her partners for some of her portraits, and some of them—or at least fragments of them—can in fact be found in the exhibition itself. 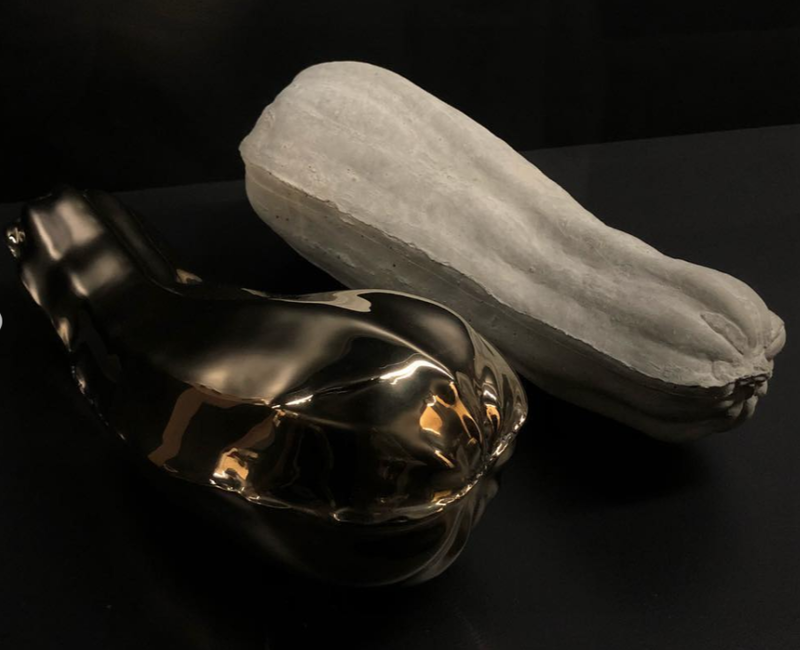 After centuries of male artists depicting and objectifying the female body, it's these sculptures, of course, that make the most noise, particularly on Instagram.